Terms of Business of Fish Home Finders or any other associated company. Fish Home Finders uses its best endeavours to ensure the accuracy of the information on our website. However, such information can vary from time to time. While we try to minimise delay in updating the website there is always scope for unforeseen time delays. Therefore Fish Home Finders cannot warrant that the information is accurate at all times. Accordingly, the information and features displayed must be used for general guidance only and should not be treated as an offer or warranty or as forming any part of a subsequent agreement between us. We do not give advice as to the suitability of any of the offers displayed. The website is the property of Fish Home Finders. No part of it may be reproduced in any form or stored electronically or in any other medium without the permission of Fish Home Finders. For your personal (as opposed to any commercial) use you may store or print material from the Website. © 2016 Fish Home Finders. Fish Home Finders will use all reasonable endeavours to protect your personal information from loss, unauthorised access, use, modification, disclosure or other misuse. The personal information you provide may be used by Fish Home Finders to provide you with information about products or services that may be of interest to you unless you indicate that you do not wish to receive such information. Fish Home Finders will, at your request and subject to proof of identity, provide you with all personal information held about you under its control. At your request, such information may be corrected, added to or deleted to ensure that such personal information is accurate, up-to-date and complete. 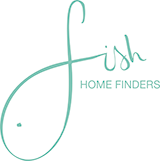 The Fish Home Finders website may provide links to or search results which point to a link to other websites which are not under the control of Fish Home Finders. You accept that Fish Home Finders cannot be held responsible for any material on a website which is not under its control. Fish Home Finders does not guarantee that access to the website will be continuous or error free. Fish Home Finders will seek to ensure reasonable continuity of service and early correction of errors of which it is notified. Error correction will ordinarily take place upon the periodic review and checking of the website functionality. Fish Home Finders uses virus checking software to screen against damaging viruses but cannot be held responsible for the accidental transmission of a virus to any person.